Irrespective of who stands with or against Venezuelan President Nicolás Maduro does not concern us, as each country has its own interests prompting it to stand with one side or the other. However, there is an important question linked to this South American nation. What makes a very commodity-rich country with a quarter of the world’s oil reserves fall into such depths of poverty and suffering? Venezuela has reserves of around 300 billion barrels and its peak production in the 1990s was 4 million barrels a day, of which 3.2 mbd were exports, before production fell to 2.2 million barrels currently. This is in addition to having other national treasures such as vast agricultural areas, forests and mountains with bountiful natural resources. Meanwhile, a country like Singapore has nothing, no natural or agricultural resources, but has massive wealth and one of the highest levels of per capita income in the world. With more than 70 per cent of Venezuela’s 30 million people suffering from poverty, some of them have no option but to immigrate to neighbouring countries for work and even buying basic goods, even if that means less resource rich countries such as Colombia, due to disappearance of food staples and consumer goods in Venezuela. The answer to the above question on why is simply “management”, and in particular wealth management. Venezuela has been plagued by an ideologized regime that promotes obsolete slogans. When former President Hugo Chavez came to power, the economic deterioration was aggravated and the economy hit a rock bottom under his successor Maduro. Although the current regime claims to represent the interests of workers, these are the people most affected by the government’s sterile economic procedures, which has led to a deterioration in production, including oil. It also led to a significant decline in per capita income, resulting in lower living standards, high inflation and unemployment. 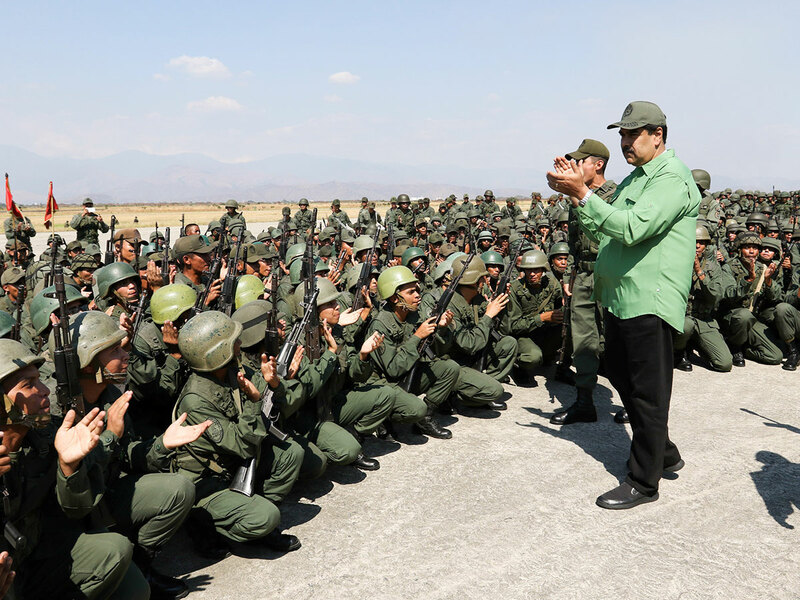 Ignoring the main reasons for the country’s decline, mismanagement and corruption, the Venezuelan regime is trying to lay the blame on fake foreign conspiracies to justify the failure of its administrative and development policies. In the same period, a Brazilian president came from the same social environment as the Venezuelan president. The former Brazilian president, Lula da Silva, placed his country among the top developed nations, and Brazil is now ranked eighth, outpacing Italy as the world’s largest economy. If there are foreign conspiracies as the Venezuelan regime claims, it would have targeted Brazil; given it is a major producing country and a strong competitor in the international export markets. It is easy to blame others, but difficult to acknowledge one’s mistakes and mismanagement that has brought Venezuela to a state of extreme poverty and unrest that could develop into a civil war, which might devastate the remaining resources. The Venezuelan president could have benefited from the experience of its neighbour, Brazil, and bring in technicians and administrators who could add much through transferring their successful development experience. However, Maduro remained adhering to the slogans of his predecessor Chavez while the economy was going downhill. So getting out of this bottleneck requires a miracle the current regime cannot make and it has become necessary for all influential groups in Venezuela to work hand in hand to develop a national vision that everyone can agree upon and work towards. Unfortunately, this is highly unlikely, because of the intransigence of the regime and its failure to admit to its mistakes, meaning things are moving towards more clashes and deterioration. Venezuela is a “rich country but with poor people”. This disgraced equation is the hallmark of similar countries that are rich but with their people remaining, such as Iran, Libya and Iraq. Such countries are used to blame others for their problems without looking inside at their people who are suffering under the burden of mismanagement and wasting resources to achieve hollow slogans and impossible daydreams. This is simply because what they dreaming of is far from reality amid shifting regional and international balances.